As Jesus teaches his disciples about prayer, he drops in this marvelous nugget of truth, using a metaphor that his disciples (and we) can easily understand — the importance of seeking, asking, and knocking. That’s how the process works in everyday life. If we want something, we don’t expect it to be dropped in our laps; instead we go after it. Yet in our relationship with God, we can easily become passive and passé. Here Jesus is emphasizing the fact that God is always listening and will respond to our requests and pleas – but we need to take the initiative. Often we get too busy to pray. Sometimes we become so burdened and preoccupied with our problems that we forget to talk with our heavenly Father. We may even feel as though our needs are small and insignificant and that God would not be concerned with them. 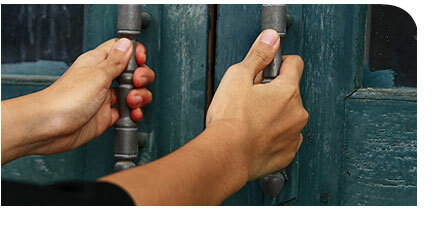 But Jesus says to persist in our prayers – asking, seeking, and knocking. What are are you seeking that you need to ask Him for? 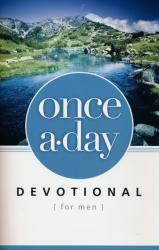 Excerpted From the Once a Day Devotional for Men. Thank-you very very much! Cindy….